Pop culture has painted car salespeople in a bad light over the years, making them out to be devious tricksters who take advantage of customers at every turn. Though this popular adage is rarely true, many people still feel the need to "beat the salesman." 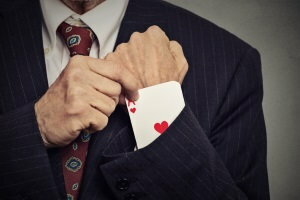 Can you really beat a salesperson at his or her own game though? Negotiation is all about walking the fine line between what you want and what a car salesperson wants to give you. Before you head into any situation where you're going to be haggling with a professional, you have to arm yourself with knowledge and know what not to say to a car salesperson. Fortunately, this is easy to do these days. We're lucky enough to live in an era where information is at our fingertips – including information we previously counted on a salesperson to provide. 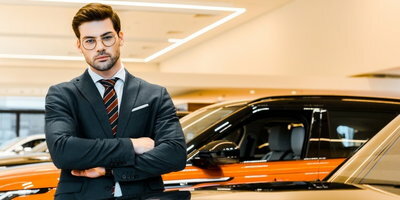 By doing your homework before setting out for the showroom, you should be able to gain the knowledge you need to negotiate like a pro and get the best deal on a vehicle you can. Let's look at some tips to help you beat the salesperson at their own game. The first steps to negotiating a fair price are to know the numbers and have a budget. Research the cars you're thinking seriously about buying. It's nice to dream, but when you need to get a daily driver, especially if your credit's not excellent, now's not the time to think about your dream ride. Price out affordable models that meet your everyday needs, and research reliability and safety ratings, too. When it comes to your budget, don't get hung up on what you can afford each month – remember to balance overall cost with monthly payment. Calculate your debt to income and payment to income ratios to get an estimate of what you can spend on a vehicle, or use our Car Loan Estimator and Payment Calculator to get an idea on how much you can afford. When you know what you can afford to spend and the average price of the vehicle you want, it's hard to be taken for a ride by a smooth talking salesperson who's quoting you too high. When you know what you're in for, you can keep control of the process. One tactic that can help is to be unpredictable. Don't let the salesperson pressure you into test driving a car you know you can't afford, and don't let them keep you waiting in a sales office while they "check on things with the manager." Also, don't let the salesperson talk you into additional options. Knowing ahead of time what features you do and don't want can help you here. Finally, don't talk money or trade-in up front. These are your bargaining chips to pull out when the time is right. Not every fee and charge in the auto financing game is up for debate. Some things, like tax, title, and license fees, are non-negotiable. However, most other costs, like the price of the vehicle, dealership fees, interest rate, and documentation fees, are. If you can't come to an agreement with the dealer, don't be afraid to walk away. Unless you're after a model that's hard to find, there are plenty of fish in the dealership sea. Don't let the salesperson make you think there aren't. In fact, you should shop around for the best deal you can get before you sign on anyone's dotted line. 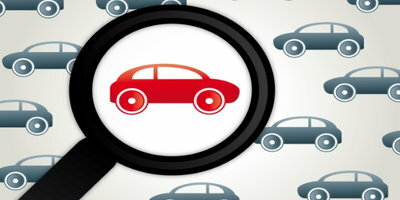 Ready to Find a Dealership? If you're ready to test out your negotiation tactics and get the car you need, but are afraid you'll be turned away due to credit, turn to Auto Credit Express instead. We work with a nationwide network of special finance dealers that have the lenders available to help. Simply fill out our fast, free, and easy online auto loan request form to get the process of finding a local dealership started right now.